Whether you're beginning a new school year or starting a new work week, now is a good time to get organized. This inspirational notebook will keep your schedule in order and remind you to take one task at a time. 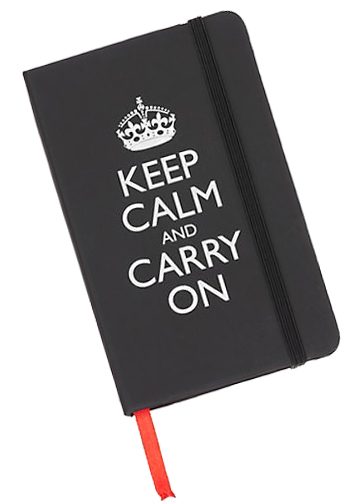 So when things get hectic, just remember to "Keep Calm and Carry On."